Alan Watts’ son sent the following message requesting that his father’s talks be removed from the Psychedelic Salon … bye bye Alan! Lorenzo if you leave the Alan Watts materials up you will be sued before this month is out. 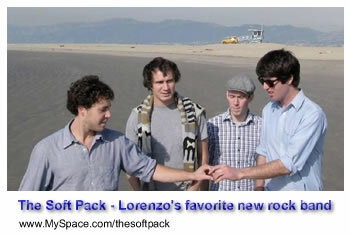 Lorenzo, my father’s talks are copyright protected. Please don’t post any more of his talks on your podcast and remove the ones you have in the archive. If you want to listen to this talk you will have to pay his son for the privilege. … Too bad, I thought information wants to be free. I wonder what Alan would say about this? … although, if you Google “alan watts mp3 torrent” you can find thousands of Web sites that provide free downloads of Watts material. Also, you will find many hours of free Alan Watts videos on YouTube. … So maybe it is only the Psychedelic Salon that Mark objects to. Posted in Alan Watts, Culture, LSD, Psychedelics, War on Drugs and tagged Alan Watts, Culture, LSD, Psychedelics, War on Drugs. I loved it. Thank you for posting it. That was such a good listen, I will definitely return to it in the future to fully absorb it all. I am so sorry to hear about the loss of comments, a similar incident has happened to me in the past and so I know what it’s like. All the best, and keep up the excellent work. Great one! So nice to ride this vibe while at work and spinning my wheels about how to be less at work! Thanks for this Lorenzo. Easy one of the best talks ever. Can’t wait to hear it again..so I do so right now 8). Diggin your upaya, Lorenzo. Yahoooo!! !